Created in partnership with Dremel Education. 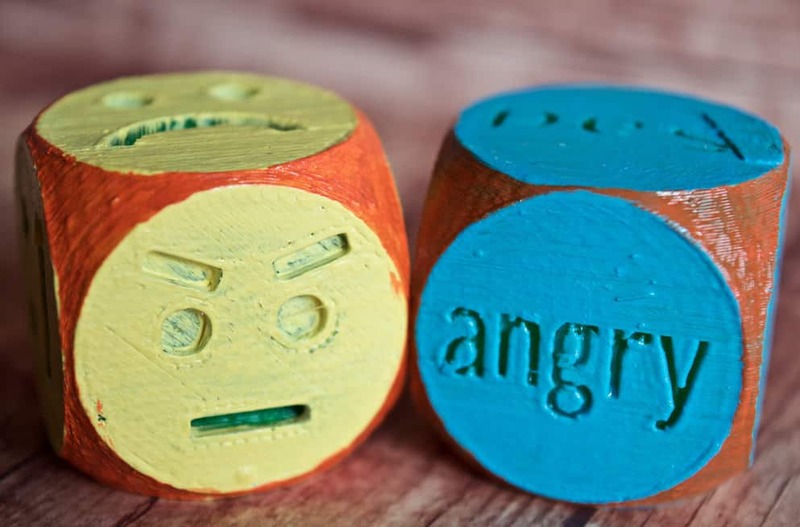 These 3D printed Social Skills Emotions Dice game is just the beginning of our fabulous creations! I have been learning a LOT about 3D printers the last few years that we’ve had our Dremel 3D40 Idea Builder 3D printer which is absolutely AWESOME. I went from having never touched a 3D printer to printing in UNDER 20 minutes! 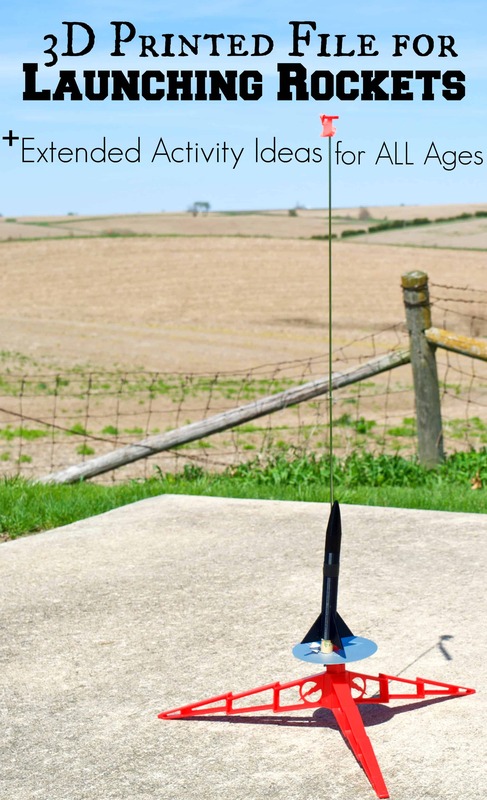 I felt like it was so simple – like I was reading one of those 3D printing for dummies books! I just followed the instructions that came in the box and we were soon mesmerized by the printer! I’ll posting a review to our specific machine that Dremel Education sent us later! If you’ve been around my site for a while then you know my oldest son has autism – more specifically Asperger’s. He has been asking me for quite a while to have access to a 3D printer and I’m so thankful that Dremel has partnered with us so that we can provide it not only to my son but also to my husband’s entire school! You should see the things the kids in our Robotics Club has been designing! 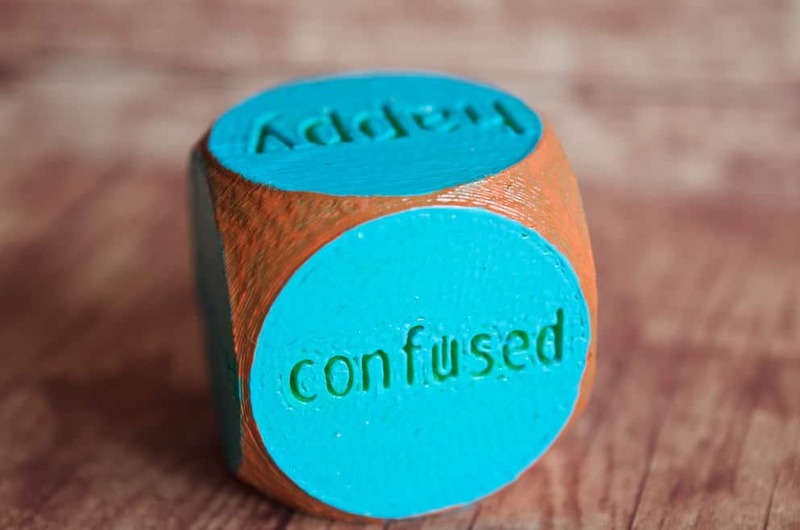 I wanted to design something specifically for Autism Awareness month and I found oodles of 3D printed fidgets – so I didn’t want to make yet another one of those. 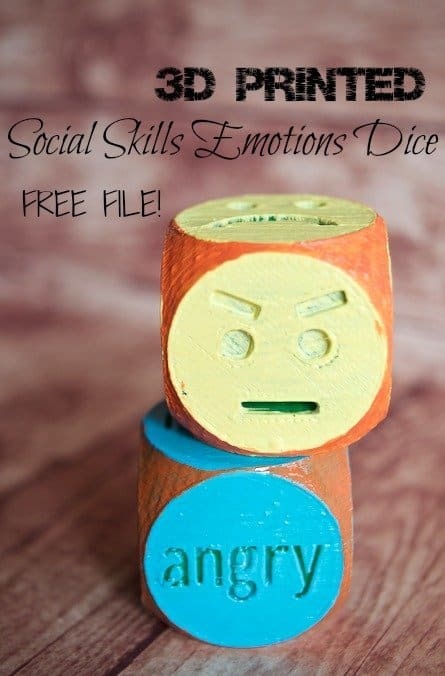 Then I came up with the idea for this set of Social Skills dice that my husband helped me design! Here is the Face Dice half way through being 3D printed – pretty cool huh? 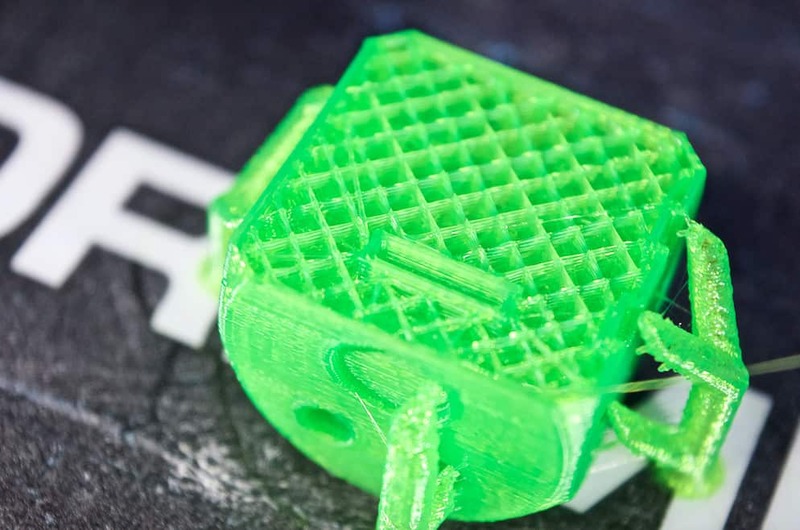 And those outside supports are added automatically so when you print with your Dremel 3D40 Idea Builder printer you don’t have to design that in! Check out the interactive 3D version below! Now you’ll notice that I actually painted my dice to give it some color but Dremel has a fantastic selection of filament colors to choose from! I found, however, that painting the dice made the words and faces “POP” out better. 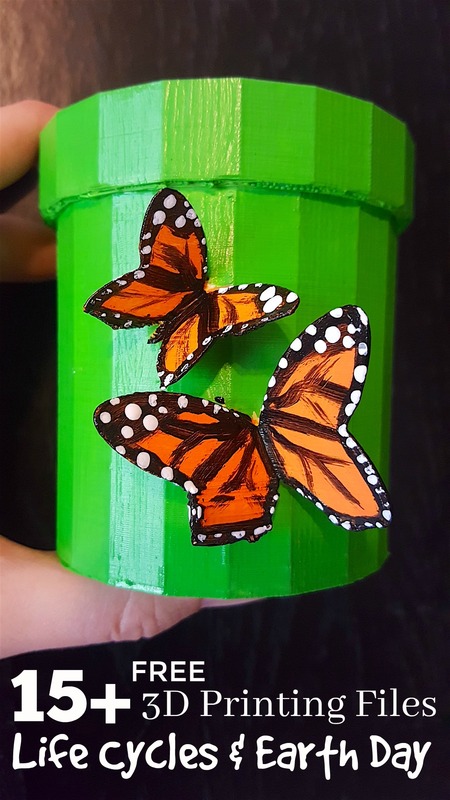 I’ve heard spray paint is really great for 3D print creations but for this time I just used some quick acrylic paint to start with until I get better and designing things! I do recommend a quick sanding with a small piece of sandpaper to smooth out any rough spots. Game 1: Using only the Words Dice take turns rolling the dice. The player must make the face associated with the word they rolled on. First one to roll 3 of each kind wins! Game 3: Use the dice for writing prompts. The student(s) must write an individual story based on the dice that they roll. 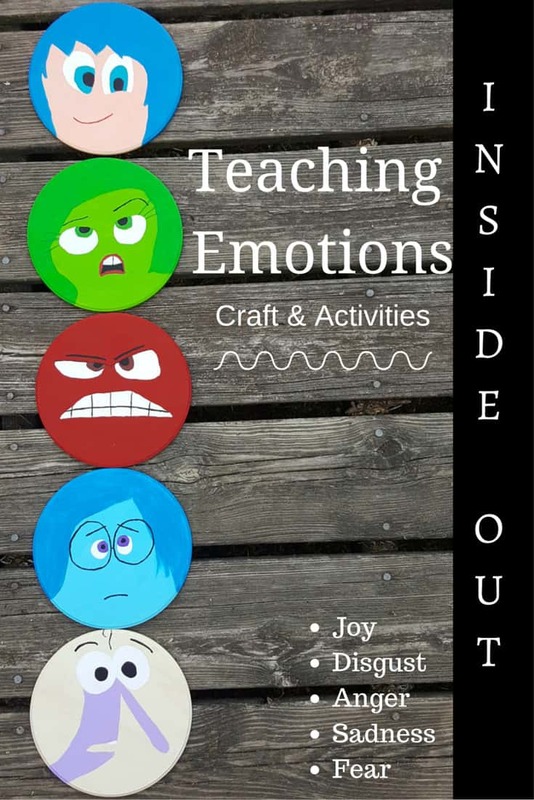 Roll both dice and create a character for each emotion rolled. There are SO many ways you can use these dice and I am incredibly excited to hear how YOU will use them! Please leave a comment letting me know what you are using your dice for or send me an e-mail and share your story with us! Feel free to send us a picture too! 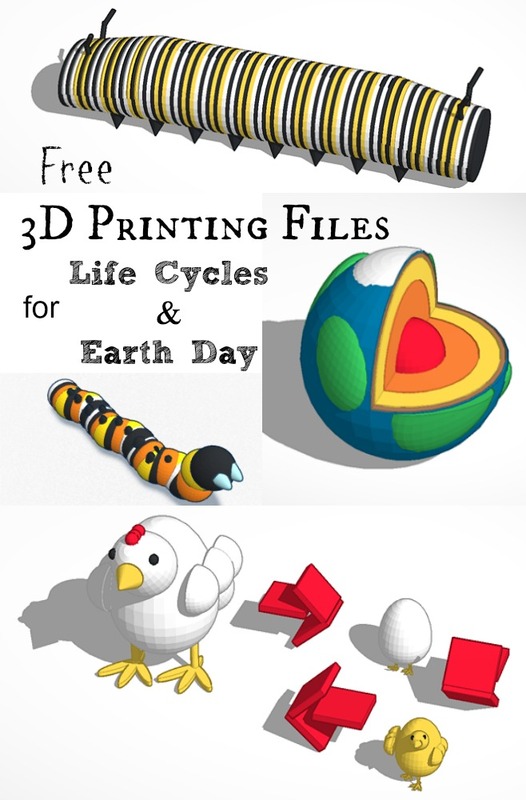 Need more information on 3D Printers? The good folks over at Dremel Education can help you out there!